Fox News Channel start broadcasting. In February 1996, after former NBC executive and Republican political strategist Roger Ailes left America’s Talking now MSNBC, Murdoch called him to start the Fox News Channel. Ailes worked individuals through five months of 14-hour workdays and several weeks of rehearsal shows before launch, on October 7, 1996. At launch, only 10 million households were able to watch Fox News, with none in the major media markets of New York City and Los Angeles. 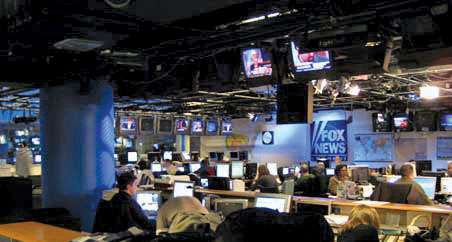 According to published reports, many media reviewers had to watch the first day’s programming at Fox News’ studios because it was not readily available. The rolling news coverage during the day consisted of 20-minute single topic shows like Fox on Crime or Fox on Politics surrounded by news headlines. Interviews had various facts at the bottom of the screen about the topic or the guest. In the 2000 presidential election, Fox News, which was available in 56 million homes nationwide, saw a staggering 440% increase in viewers, the biggest gain among the three cable news television networks. This entry was posted in Uncategorized and tagged 1996, 7 October by Admin2. Bookmark the permalink.